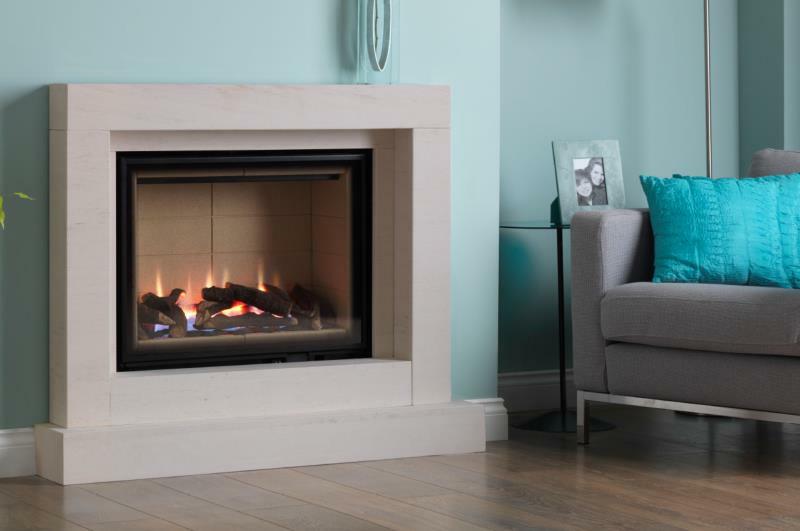 Suitable for hole-in-the-wall or some fireplace settings, the 750 Landscape combines a class leading efficiency of 87.2% with stylish looks and fantastic performance. Remote control is standard and the 750 Landscape can be fitted with a wide choice of frames or Marble/Granite slip combination, please ask your Legend Ethos dealer for details. High definition, detailed logs are standard and a driftwood/pebble fuel effect is a contemporary option if required.